One of my favorite bands is about to release a new album! No time like the present to get you up to speed on the best band you have never heard! Although I fell in love with their music immediately, it was not until I saw them live in 2008 that Riverside truly became one of my all-time favorite rock bands. If you ever wondered what Pink Floyd would sound like if they formed in the 21st century, it might have sounded like Riverside. I have posted some older tunes below to get you in the mood for the new stuff! 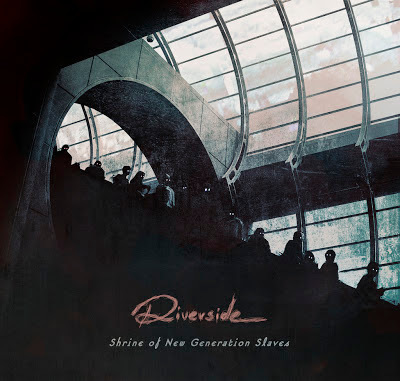 Poland's progressive rockers RIVERSIDE have just completed their fifth studio album, SHRINE OF NEW GENERATION SLAVES, and are proud to announce the effort will see a North American release on February 5, 2013. Out on longtime record label InsideOut Music, the album will also be available in Europe on January 21, 2013. SHRINE OF NEW GENERATION SLAVES was recorded at Serakos Studio in Warsaw, Poland, where Reality Dream Trilogy was also tracked. Recorded with Magda Srzednicka and Robert Srzednicki, the album offers nearly an hour of classic RIVERSIDE music. 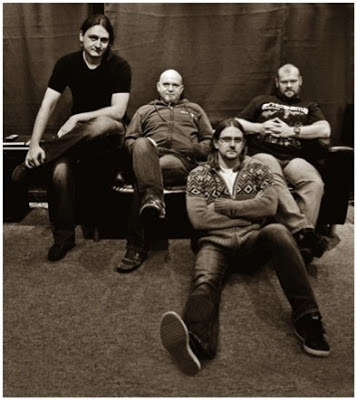 Vocalist Mariusz explains, "In 2012 we've been focusing on the work on the new album, and trying to prove, mostly to ourselves, that we can still surprise with something, and what's most important - create an album that would become our showpiece, music-wise and lyrics-wise. The title might sound a bit intricate, but the acronym will definitely explain what we did with our music this time." Fans can read about the album's recording process on the band's blog here, and a video interview that was done with RIVERSIDE directly from the studio can be seen here. The artwork was designed by Travis Smith, who has done most of the album artwork for bands such as Opeth and Katatonia as well as the Avenged Sevenfold Nightmare cover, which many regarded as the best hard rock album cover of 2011. SHRINE OF NEW GENERATION SLAVES is the follow up to the band's 2009 release, Anno Domini High Definition, which entered the Poland charts at #1 and has since hit gold album status. In 2011, RIVERSIDE also released an EP titled Memories In My Head to celebrate the band's 10th anniversary. The band is going out on the road with another favorite of mine, Jolly. More about them in another post!